Ready to start your future in beauty? Get in quick and apply now. Our next Beauty Services course is filling fast. Ready to start your exciting and rewarding career in hairdressing, barbering or beauty? With iTFE nationally accredited certificate courses you’ll learn from industry experienced trainers who are supportive and passionate to see you succeed. Our beauty and hairdressing training courses are held at centrally located state-of-the-art training centres in Melbourne, so you’ll learn in contemporary and custom made facilities. For experienced hairdressers, we offer a number of individual barbering units that can strengthen your resume or extend your current client offering. Learn from leading industry professionals in state-of-the-art facilities and get started in this exciting industry. A Certificate III in Barbering will teach you job-ready skills in classic styling, design, combing and clipper techniques in 12 months. Government funding is available to approved applicants. 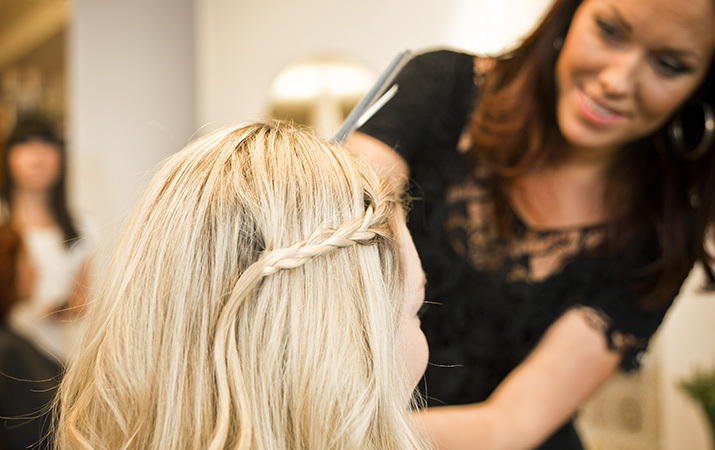 Want to pursue a career in the hairdressing industry? This course will get you qualified with an industry recognised qualification in just 14 months. Learn in state-of-the-art training facilities with enthusiastic trainers who want to see you succeed. Government funding is available to approved applicants. View our student handbook to find information on our services and support for students.